Originally posted here, about this time last year, I thought this little tutorial would be a perfect re-post for spring time weather. Enjoy! Peplum is a repeat trend that I'm all about. It's feminine with a hint of retro, a bit flirtatious & sassy, and downright fun. Cute, right? 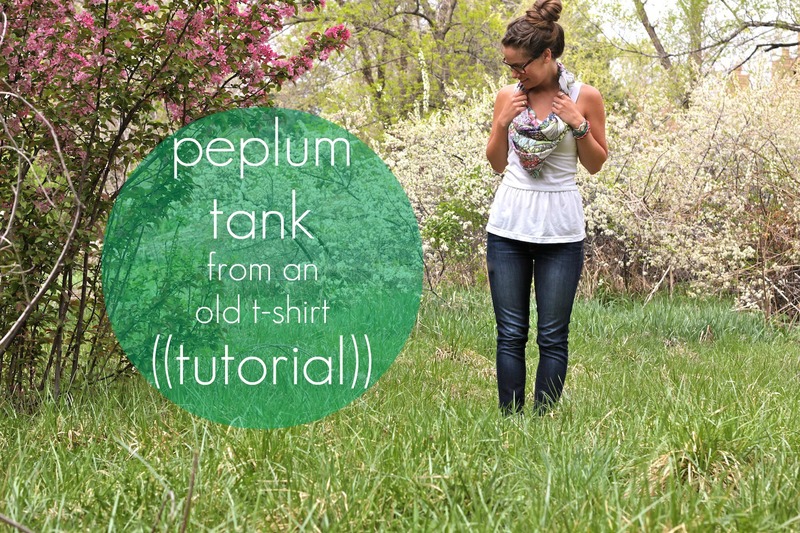 Today I'll teach you how to make a subtle peplum tank out of a large t-shirt. 1. Cut off the bottom of your tee. I wanted mine to be a drop waist, so I tried it on and cut where I wanted it to hit. 2. 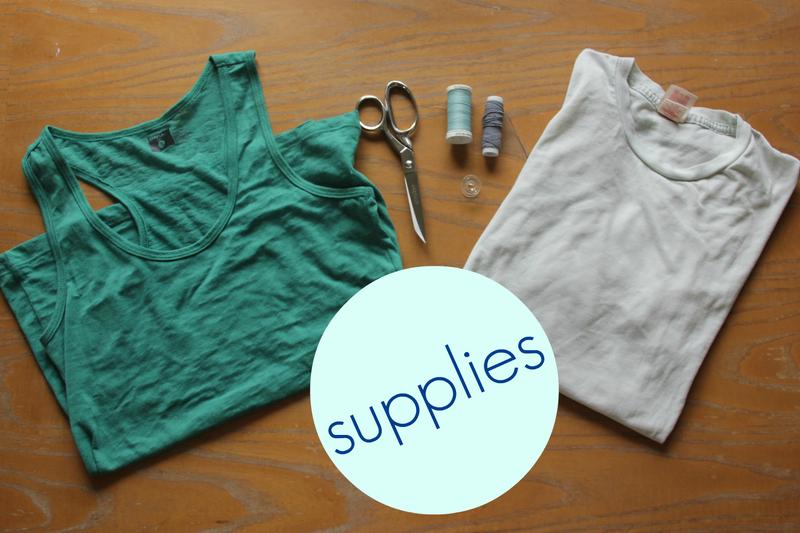 Using a tank top that fits you well, trace that shape onto your tee's top portion and cut out. 3. Sew up the sides of the tank. I got fancy and did french seams. Once in a lifetime occurrence. 1. Wind up your elastic thread onto a bobbin and install into your machine as usual. 2. 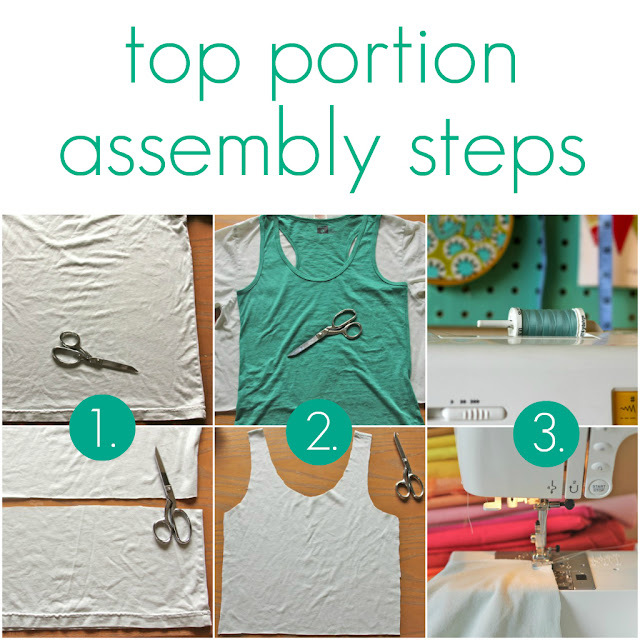 Using your machine's widest stitch, sew around the top of your circular piece. 4. Line up the raw edges and pin at the side seams and in the middle of each side. 5. Stitch, just below the elastic thread so it doesn't show. Turn right side out and voila! Pair with your favorite scarf and be one of the first of your friends to wear the peplum trend! use bias tape or a rolled hem foot to finish the raw edges of your tank. make a tee instead of a tank. 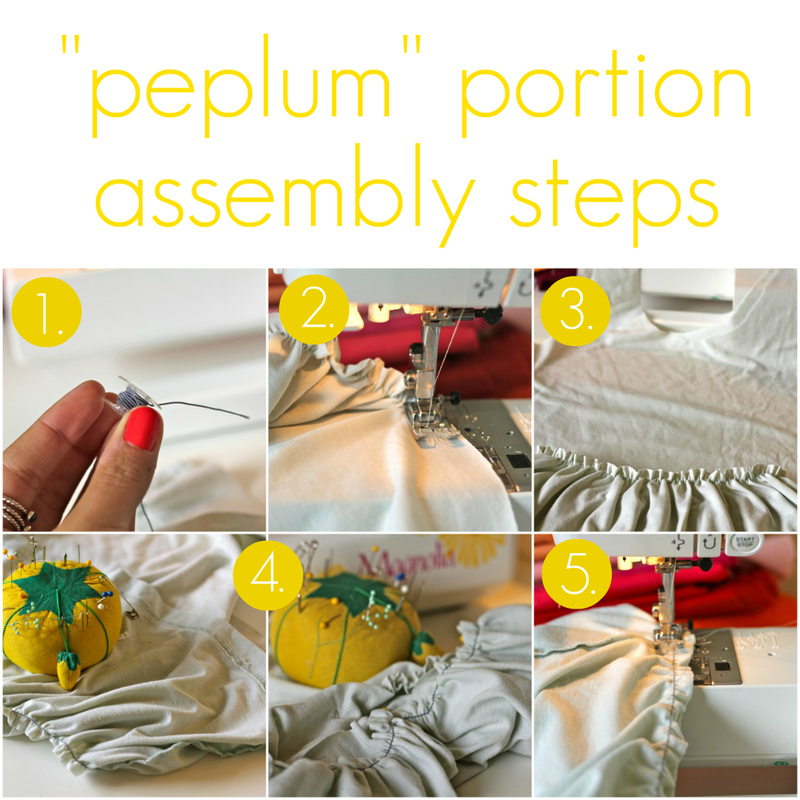 do pleats instead of a ruffle for a "fuller" peplum. color block and use a different fabric for the bottom. This is so crazy adorable, and I love that you lowered the waist a bit–so flattering! I'm wondering if I could get the proportions right like you did. Excellent job! Such a cool idea! I haven't liked any of the peplum pieces I've tried...so maybe this would be a great way for me to finally get a peplum piece. Love it! I'm totally going to try this this weekend! I have been hoarding an old bag of tees and tanks. I am putting this on my to do list! This shirt is sooooo cute! Great job!!! Your shirt is stylish and the instructions are simple.